Students approaching their last years of high school face some difficult questions: what do I want to do when I graduate? Do I want to go straight to work or go to college? Which college should I choose? How do I pay pay for it? An education at SUN might be the answer to your questions. At SUN we know that everyone has different hopes, goals, and dreams and different ways to reach them. Some students are ready to join the working world after they graduate while others will head to college to continue their education. SUN Tech students leave ready for both. Students that are ready to work can leave with skills and qualifications that make them sought-after by local employers. Those that take advantage of our co-op program will graduate with valuable work experience in their field. Students that choose to continue their education will start college with more knowledge in their field than their classmates who didn’t take advantage of career and technical education. Our students can also earn college credits at SUN Tech that will transfer to many state universities. Our choice of full-time programs has something for everybody. Enjoy working with your hands? Try one of our four programs in the Building Trades. Do you like helping people or putting a smile on the face of a customer? Try one of our programs in Health and Human Services. Do you get a kick out of manipulating materials and the world around you? 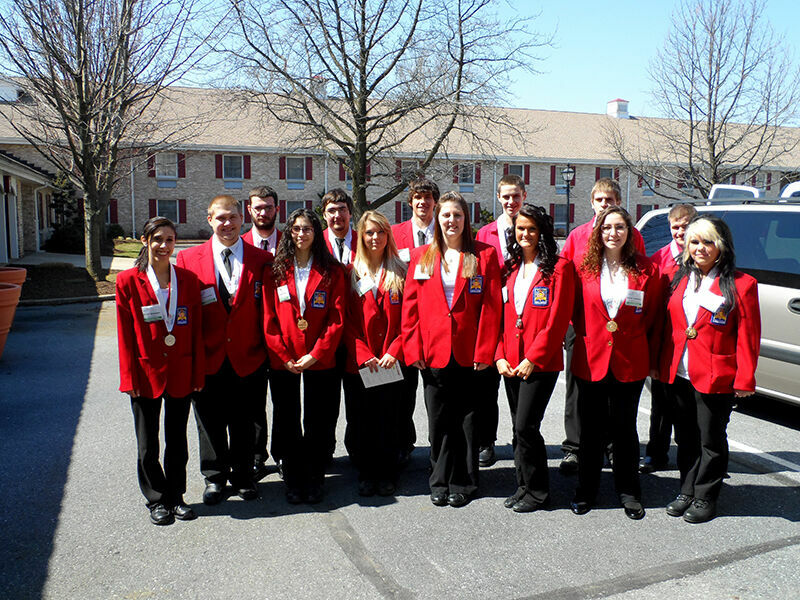 Learn how to create just about anything in our Manufacturing programs. Are you a natural problem-solver? Do you love technology? One of our Technical programs might be right for you. Do you enjoy self-expression, creativity, and art? Learn to turn that passion into a paycheck with our Advertising Art program. 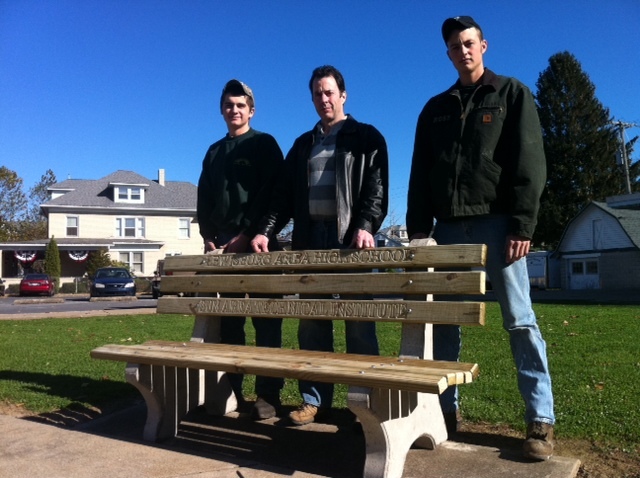 Precision Machining students pose with the bench they made for Lewisburg School District. We know that every student that comes to SUN Tech chooses 180 days away from their friends at their home school. That’s not an easy choice to make! But many of our successful graduates agree: it’s worth the sacrifice! And modern technology makes it easier than ever to stay connected to your friends and the goings-on at your home school. We make every effort to keep you informed of events at your home district through Facebook, Twitter, and our website. Before you make a decision about your future talk to your guidance counselor or contact SUN Tech to schedule a tour. You’ll be glad you did. Getting to SUN Tech is easy! Talk to your guidance counselor and let them know you’d like to come to SUN Tech. Some of our programs fill up quickly, so making the decision as early as possible can be important! Your counselor will be able to provide you with the appropriate forms to enroll you for an exciting year of career and technical education! If you have any problems or questions, please feel free to contact SUN Tech.